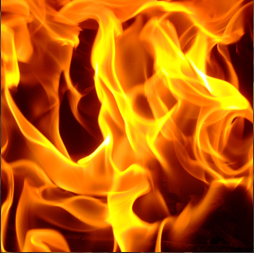 Inferno-Lite® Fire Resistant Glazing combines fire resistance protection, tested and listed by Underwriters Laboratories (UL), with a wide range of laminated security products for both forced entry and ballistic protection. FRP 4510 is tested for Window Assemblies (ANSI / UL9) and Door Assemblies (UL10 B) with a maximum exposed width or length of 42”. FRP 200, 300, and 400 are tested for Fire Rated Labeled Doors. FRP 200 and 300 are wireless clear glazing. Wire glass products are intended for interior glazing only, as exterior glazing may result in breakage due to thermal stress. Proper installation methods and fire-rated frames are mandated by UL for all Inferno-Lite® products. Speak holes and pass-through holes are not offered. For general glazing installation guidelines refer to the Glass Association of North America (GANA) Glazing Manual 2004 or latest edition. Maximum length and width usage will vary. Please consult data sheet for more information. Wire glass may be misco or baroque. Glass and wire alignment cannot be guaranteed. Visit www.ul.com for specific UL label/rating information. Required installation caulks include Metacaulk 990 and/or Blazeseal.